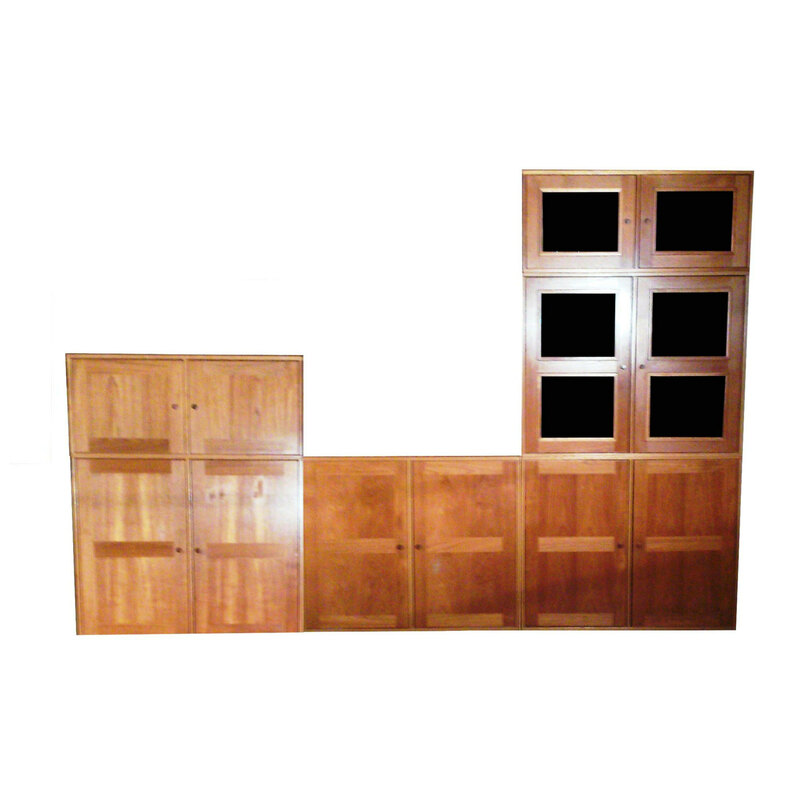 Danish teak cabinet in a modular style consisting of six separate pieces that can be stacked and configured any way imaginable to fit any space. This Danish Modern teak cabinet can be stacked as shown to maximize vertical space, or can be set up side by side used as a credenza, or stacked and staggered. This is a great piece for small spaces or a New York City apartment. There are four large cabinets the same size, one with four smoked glass panels. 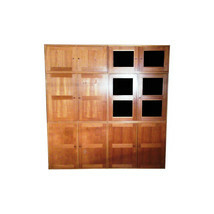 There are two shorter cabinets as shown on the top of the first photo, one of the smaller cabinets has two smoked glass panels. All of the cabinets have one adjustable shelf, and the glass front cabinets have one adjustable glass shelf. 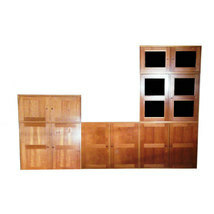 Shelves can be removed or added to each piece to configure the storage as needed. The cabinets sit flush on the floor without legs or a plinth. The two cabinets with smoked glass panels in the doors have lights inside that emit a soft glow when turned on. 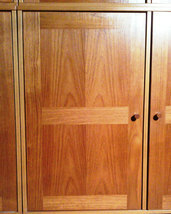 The Mid Century teak cabinet is in excellent vintage condition and is structurally solid. 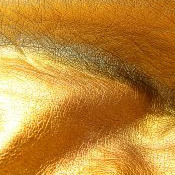 There are two small areas on one door where the finish is slightly duller, but the light has to hit it just right to notice. 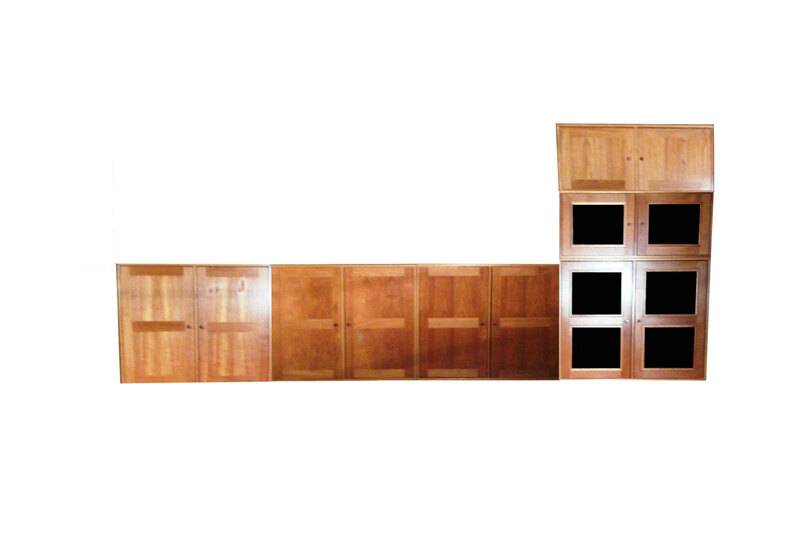 One of the larger cabinets does not have a back panel which is jut 1/4" thick panel and is easily replaced if you want to float the cabinets in a room as a room divider. 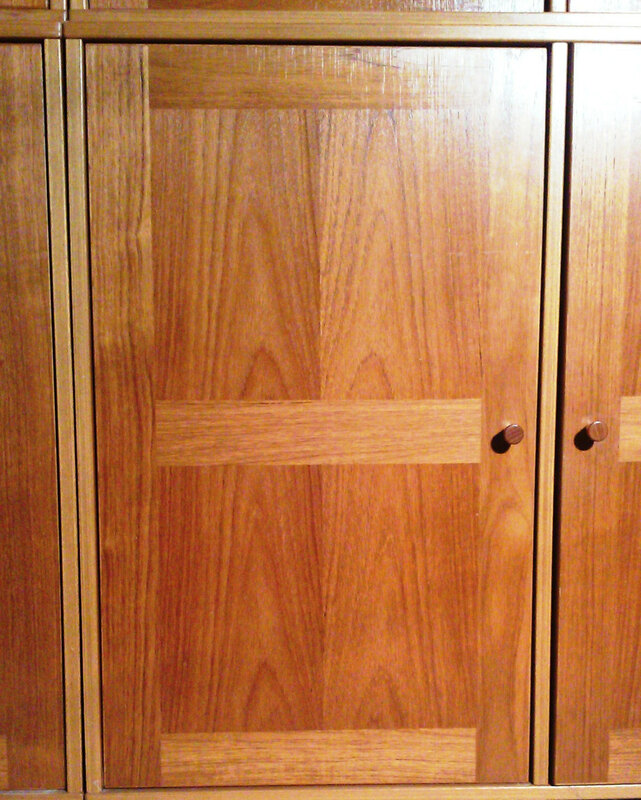 The cabinet is a beautiful golden teak and all of the cabinets are the same color; the lighting in some the photos makes some of the cabinets look lighter, but they are all the same color. 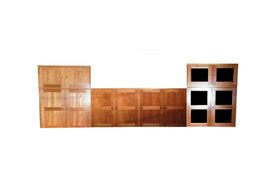 measures as shown in firs photo 80"H x 16" deep x 77"W. Each of the four large cabinets measure 16" deep x 38.5"W x 31.5"H. Each of the two shorter cabinets measure 16" deep x 38.5"W x 16.5"H.